Thank you to Apparatuz for providing today’s giveaway prizes! It’s Day Three, and tonight’s giveaway will have THREE winners! 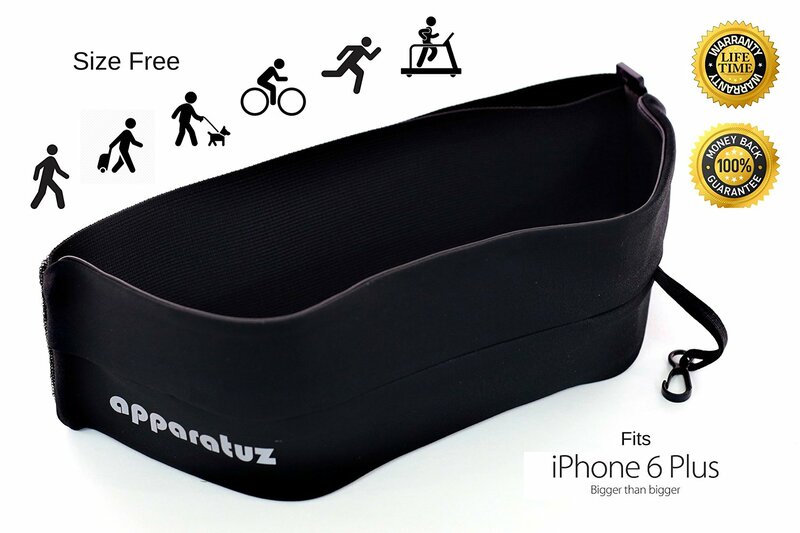 The generous folks at Apparatuz are giving THREE of their Running Belts to THREE of you! 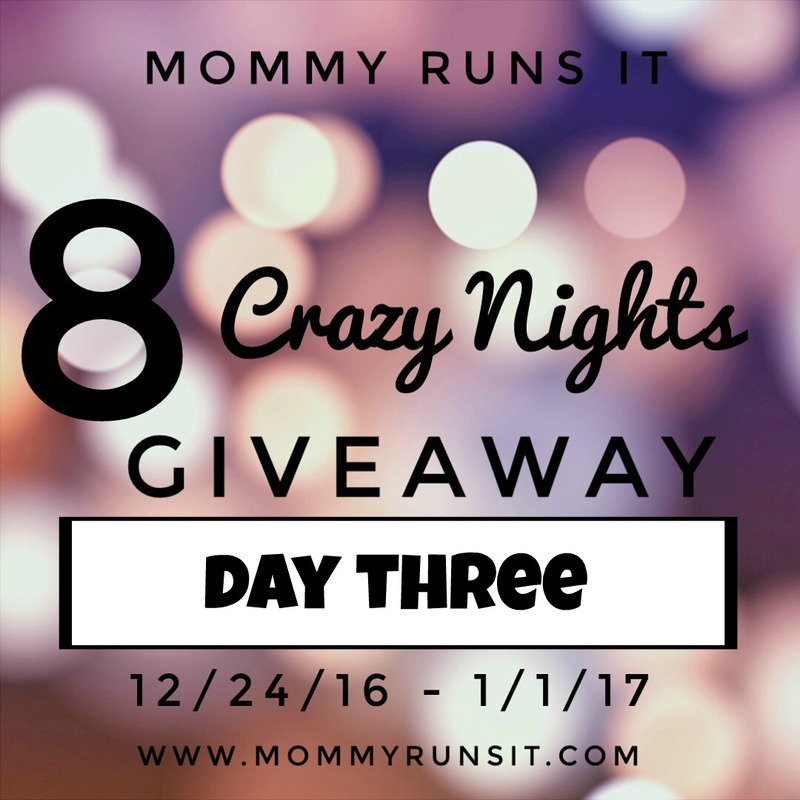 I was first introduced to Apparatuz (owned & operated by a busy mom of 2, btw) back in the fall, when I had the opportunity to review one of their running belts – the same type of belt that we’re giving away tonight. This belt isn’t just for running – it works great for walking, traveling, and just everyday use. It’s adjustable – it expands from 25-42 inches. It’s wider & roomier than any other belt I’ve tried, hands down. My Moto G4 in its case fits easily, with lots of room to spare. It lies very flat. As you can see in the photo above, it looks like a wide waistband, versus a bulky fanny pack. This also makes it barely noticeable underneath clothing. Its color (black) and simple design make it great for both women & men. It’s waterproof, so it’ll protect your phone & other great from sweat. The Running Belt retails for $17.97 and can be purchased directly on Amazon. Can’t wait for the giveaway? Hop over to Apparatuz on Instagram, where they’re currently running a holiday special. My family and I run together in the evening, and we would all love to have one of these amazing running belts instead of just carrying things we need to use. I run in moderate temperatures and carry few things with me, but with a running belt like this one I would easily change my mind. Wow, what a wonderful running belt I could definitely use on long runs instead of holding a bottle.or other stuff. This running belt would be a cool way to carry needed items that I now hold, when I need to have something with me. I run with as little as possible in the early morning or evening, but I love the look of this belt..
A running belt would be really nice; I usually run in cooler weather or at night. I run with a back pack. Belt. It’s so much easier to run with. I have an arm band that’s big enough for my phone, debit card and house key. I’d love to give a belt a try! I like to run with a belt. I like to run and do other exercises but I have problems with losing ahold of my phone and such so this would be perfect for several activities for me! I like a belt for running and walking. I could wear this belt OUT! Between running and walking the dog, I don’t know what I would do if my hands were actually free. backpack for me! Thanks so much for the chances to win. I don’t run but my daughter would use this for softball and speed school. I think belts are the best. I usually just use pockets but this would be great for warmer weather. I usually use pockets, but would love to try a belt! A belt would be perfect for my neighborhood walks. I don’t always have a pocket for my phone. I usually hold my phone but would love to win this asit wouldnmake things much easier having my phone tucked away and give me two free hands when going on walks/runwith my shelties, thanks for the chance to win! I’m a minimalist and usually go with a belt, I don’t like to carry anything in my hands while running! At the moment, everything’s handheld, but I’d LOVE a belt- I could keep my phone & keys in there, clip my dog’s leash on…nice! I’ve never had any of those. I just leave stuff at home. I am lazy and unsafe maybe. I guess I need one of these belts. I currently run with a handheld water bottle that has a pocket for keys and the like. I like a handheld water but keys/phone in my pocket. Belt. Always a belt. I don’t like things bouncing on my and I definitely don’t like holding things! Typically I just try to shove my things anywhere I can find a spot. This would be awesome to take on runs and looks pretty light weight. I use a belt for short runs, and a hydration backpack for longer runs. I usually just use pockets – but this would be great to use when I don’t have pockets. I run with a belt but my current one is too small for my big phone.